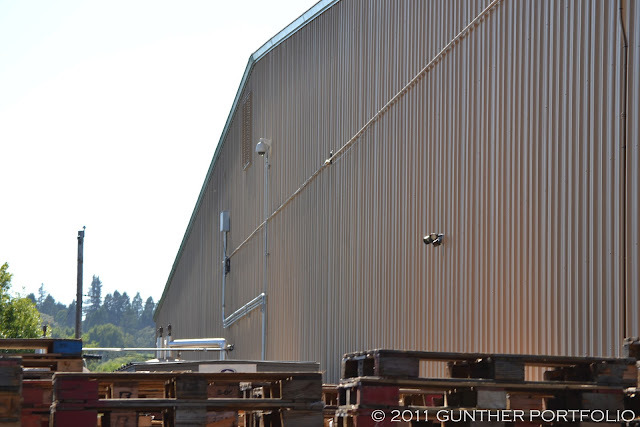 Cogenra Solar cogeneration system found in blissful operation at the Sonoma Wine Company. 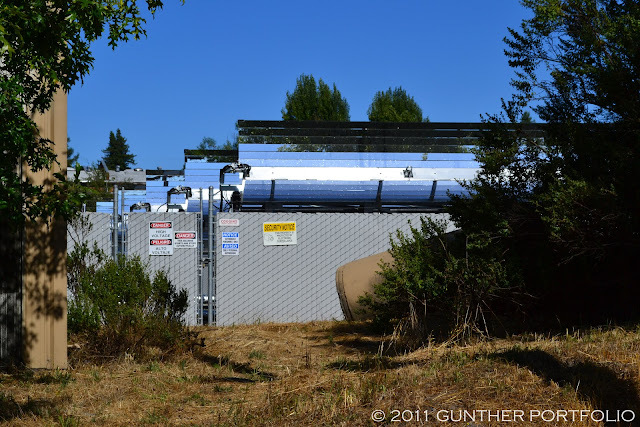 Ever since posting In Search of Cogenra Solar and In Search of Cogenra Solar – Part 2, I intended to return to the Sonoma Wine Company (SWC) site for an audit. On the tail end of a Napa and Sonoma wine country visit earlier this month, I used my designated driver duties to steer our afternoon activities towards Sift Cupcakes in Santa Rosa and the solar powered Merry Edwards Winery along the way to Graton. 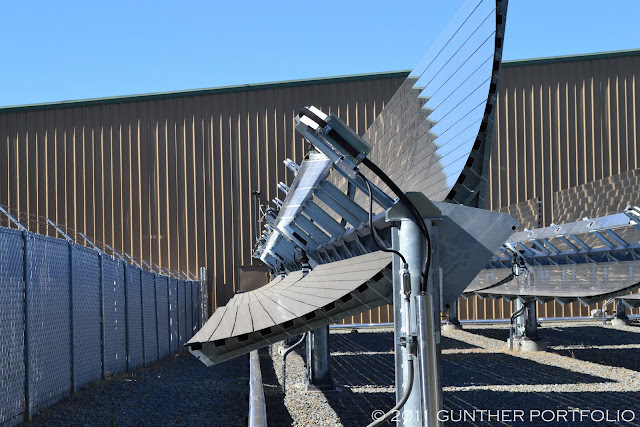 Arriving late in the afternoon, I observed in an instant the Cogenra Solar cogeneration system was tracking the sun and closer inspection proved the silicon solar cells were illuminated. 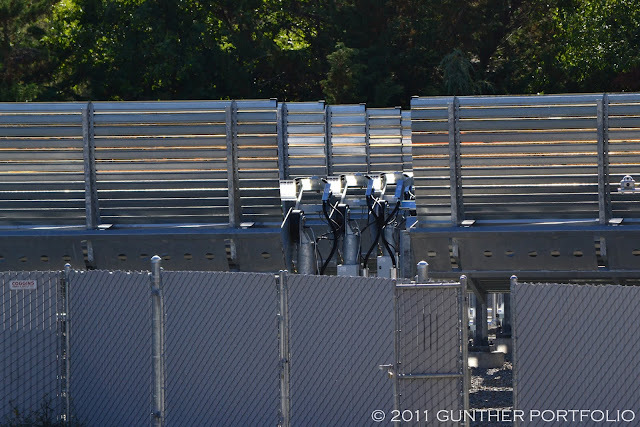 However, I noticed non-illuminated bands on the photovoltaic (PV) module edges. When I asked Cogenra Solar CEO Dr. Gilad Almogy about the module illumination, he explained Cogenra’s design approach had been to underfill the solar cells using an optical spot narrower than the 156 millimeter (~6 inch) cell length in order to always collect all the light possible. As a result, the third sized cell chamfers fall in the non-illuminated edge bands. In addition, the holistic system was designed to account for mechanical tolerances, tracking, alignment, and even ground settling over the life of the system while leveraging local, flexible manufacturers for the metal structure components. Since the Cogenra system at the SWC is packed into a small backyard, I had the mistaken impression the bands may have been caused by array to array shading or the steep late day tracking angle. Dr. Almogy pointed out shading does not induce non-uniform illumination, just lower irradiance if, for example, a mirror is partially or completely shaded. I asked Cogenra about the flat mirror soiling I observed at the SWC site. Looking straight into the mirrors, apparent spots can be seen, perhaps because of light scattering. When viewing from the side, a soiled film covers the surface of the mirrors. 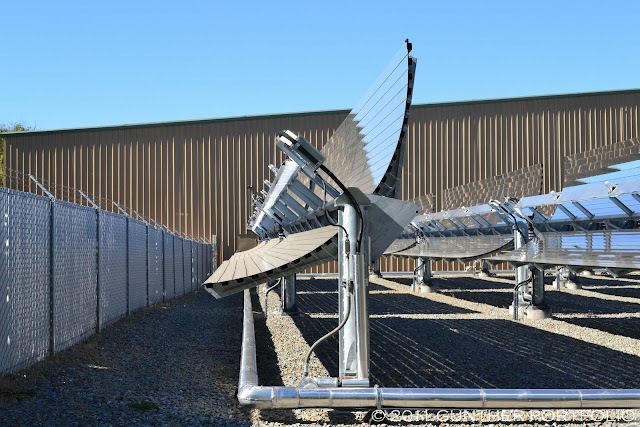 Cogenra explained the demonstration site has extensive monitoring, and the mirrors are cleaned after a certain percentage of system performance degradation occurs versus solar insolation. Cogenra said the mirrors at the SWC site had not reached the 1.5% degradation threshold and performed as though “clean” at the time of my photos per monitoring data. 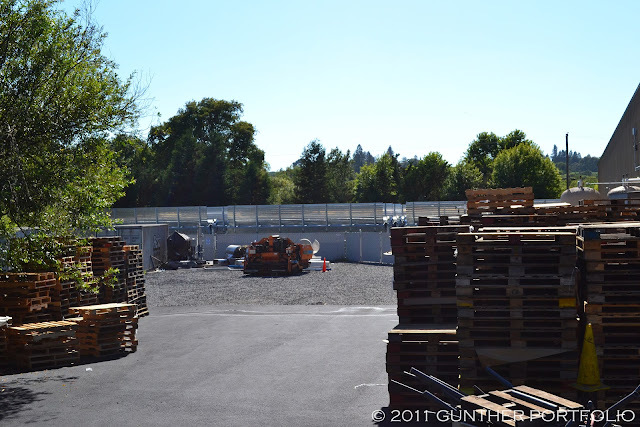 The mirrors at the SWC have only been cleaned twice since the November 2010 commissioning celebration, first in May and next after backyard asphalt construction in July 2011. Depending on the weather, Cogenra Solar expects mirror cleaning to be required about every nine (9) months at the SWC and up to several times per year at other installation locations. Cogenra said the water heated by the system was at the higher end of the expected temperature range and controlled at 165 °F or 73.8 °C when cycling in fresh 55 °F or 12.8 °C water during normal operation. 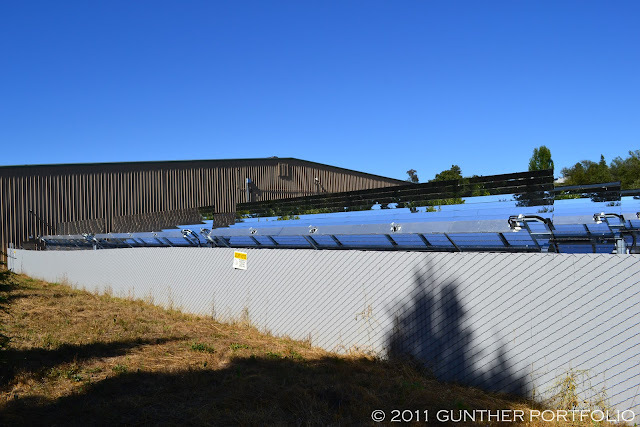 The comment by Bruce over at Greentech Media was correct; the new Cogenra Solar rooftop installation at General Hydroponics, Inc. is a half mirror variant of the ground mount version using the same mirrors and optical design. Cogenra Solar was selected to exhibit at the United States Marine Corps Experimental Forward Operating Base 2011 (ExFOB) event held this week as covered in “U.S. Marines: Use less oil, be more lethal”. I’ve been busy the past few weeks entertaining an out of town visitor. Crisscrossing the state of California, I have assembled a bunch of new solar material for the Blog. Always be mindful of the eye in the sky.